Shi Choon O. is drinking a Black Van by The 1925 Microbrewery & Restaurant at The 1925 Micro Brewing Co.
Earned the Lager Jack (Level 4) badge! Earned the The Backpacker badge! Tom G. is drinking The Yellow Van by The 1925 Microbrewery & Restaurant at The 1925 Micro Brewing Co. Purchased at The 1925 Micro Brewing Co.
Earned the Photogenic Brew (Level 2) badge! Earned the Draft City badge! Thomas S. is drinking a Liang Teh Lager by The 1925 Microbrewery & Restaurant at The 1925 Micro Brewing Co.
Anna W. is drinking a BLK6.22 by The 1925 Microbrewery & Restaurant at The 1925 Micro Brewing Co.
Anna W. is drinking The Yellow Van by The 1925 Microbrewery & Restaurant at The 1925 Micro Brewing Co.
Earned the Riding Steady (Level 62) badge! Earned the Brewery Pioneer (Level 35) badge! Earned the Draft City (Level 37) badge! Earned the Pale as the Moon (Level 32) badge!  Dave is drinking a BLK6.22 by The 1925 Microbrewery & Restaurant at The 1925 Micro Brewing Co.
Dave is drinking The Yellow Van by The 1925 Microbrewery & Restaurant at The 1925 Micro Brewing Co.
Earned the National Beer Day (2019) badge! Earned the Brew Traveler (Level 4) badge! Earned the Riding Steady (Level 19) badge! Earned the Draft City (Level 2) badge! Earned the Pale as the Moon (Level 4) badge! Earned the The Backpacker (Level 2) badge! Michael C. is drinking The General Ginger Beer by The 1925 Microbrewery & Restaurant at The 1925 Micro Brewing Co.
Earned the Riding Steady (Level 28) badge! Earned the Brewery Pioneer (Level 22) badge! Earned the Wheel of Styles (Level 18) badge! Grady M. is drinking a Coffee IPA by The 1925 Microbrewery & Restaurant at The 1925 Micro Brewing Co.
Earned the The Backpacker (Level 4) badge! Grady M. is drinking The Yellow Van by The 1925 Microbrewery & Restaurant at The 1925 Micro Brewing Co.
Earned the Brewery Pioneer (Level 23) badge! Earned the Draft City (Level 32) badge! YewEng N. is drinking a BLK6.22 by The 1925 Microbrewery & Restaurant at The 1925 Micro Brewing Co.
Deborah L. is drinking a Small Monster by The 1925 Microbrewery & Restaurant at The 1925 Micro Brewing Co.
Earned the Riding Steady (Level 9) badge! Earned the I Believe in IPA! (Level 10) badge! YewEng N. is drinking The General by The 1925 Microbrewery & Restaurant at The 1925 Micro Brewing Co.
Beer B. is drinking The Yellow Van by The 1925 Microbrewery & Restaurant at The 1925 Micro Brewing Co.
Citrusy, lemon zest in aromas and taste. Sweet, refreshing, sessionable. Earned the 99 Bottles (Level 29) badge! Earned the The Backpacker badge!